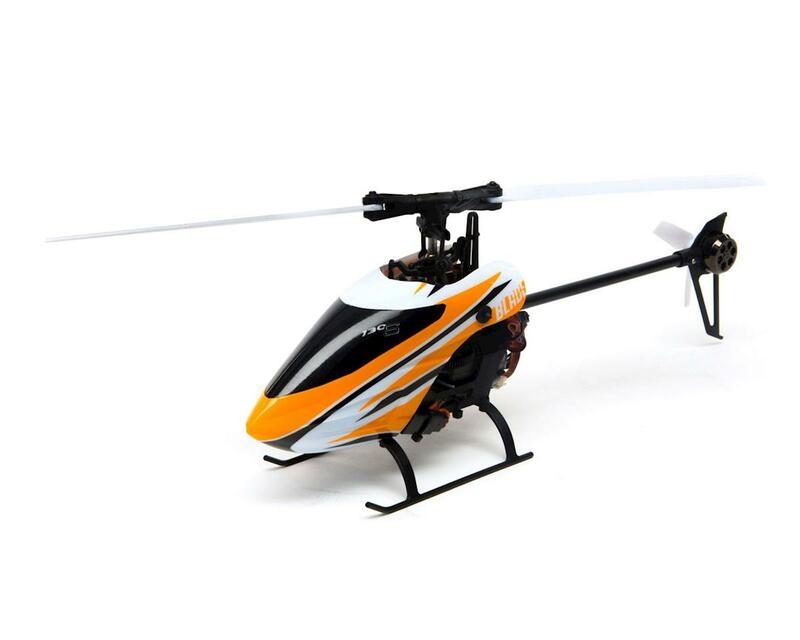 The Blade 130 S RTF Flybarless Collective Pitch Micro Helicopter is a powerful, sub-micro sized collective pitch helicopter with SAFE® Technology. Self-stabilization, panic switch and three progressive flight modes give intermediate to advanced pilots the confidence to master 3D flight indoors and out. Based on the original 130 X, the 130 S builds on that popularity while adding significant improvements such as SAFE® Technology, a powerful, low maintenance direct drive tail motor, and improved linear servos. A strong frame gives you the durability you need, while brushless motors provides the power and performance you want.